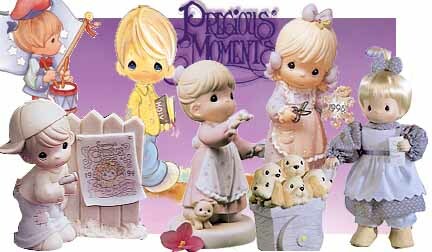 Click here for more Precious Moments! Click here for more Disney Classics! send your "wish" list to me ! I have a network of collectors who may want to sell their precious collectibles to you. They have many Christmas candles and great selections for gifts! "Have fun in collecting Collectibles!" Precious Moments are great. They bring many happeniess to everyone. Disney classics has been appreciated in value. Precious Moments also appreciate in value. Collecting Disney Classics and Precious Moments are fun.